General Motors has announced plans to phase out the U.S. version of the Verano this fall. Almost three weeks ago, Automotive News heard from two sources close to General Motors details about a decision to axe Buick’s entry-level sedan. The news is now official as GM will stop production of the Verano at the Lake Orion factory in Detroit this October. It means the car will have a short 2017 model year and will not live to see the next generation, although the “Verano” moniker will continue to exist in China where the Opel Astra-based hatchback was introduced late last year. With U.S. sales of the Verano last year dropping by a massive 27 percent to 31,886 units, it does not come as a big surprise that GM has decided to pull the plug. Demand was even weaker through April this year, with deliveries standing at 10,624 units, representing a 12-percent decrease compared to January-April 2015. 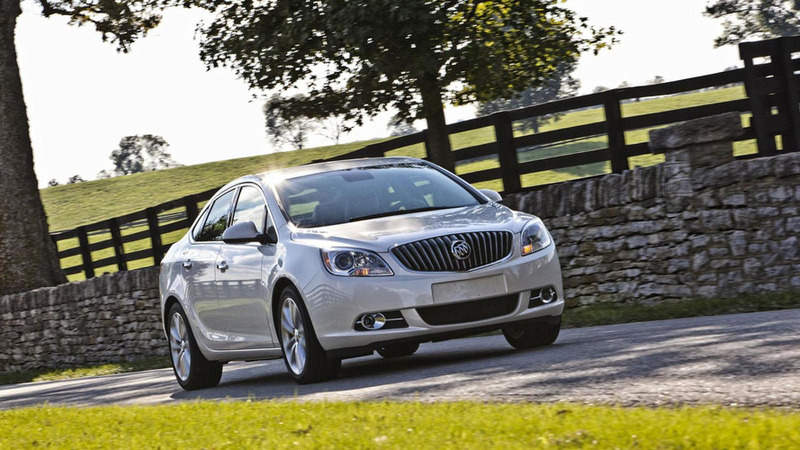 The best year in terms of sales for the Verano in United States was 2013 when 45,527 people bought it. Nowadays, people prefer getting the Encore which is currently Buick’s best-selling model and was recently facelifted. You probably can get a good deal right now on a new Verano, since Automotive News Data Center says there were around 10,000 units on dealer lots or on their way to dealers at the beginning of the month, representing a massive 113-day supply. According to a Buick spokesman, the decision to kill the Verano in United States comes as a consequence of “changing consumer market dynamics where there is a growing demand for SUVs in North America.” Workers at the Lake Orion factory have already been notified by GM and dealers were also informed earlier this week during national meetings held in Austin, Texas.